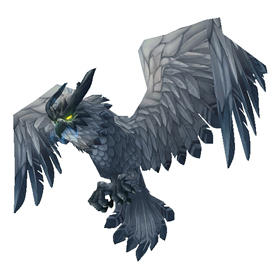 To summon Gorebeak (and get the Pygmy Owl), you first need to speak with Lorel Sagefeather in the Whispering Bluffs of Val'sharah. She will tell you that she will help defeat Gorebeak, but she doesn't help much. Near the end of the fight, Gorebeak will ask you to battle your darkest fears, which is a big Manafiend. The air around you will get dark and scary; but don't avail, kill Gorebeak first, then focus on that nasty Manafiend. Good luck all.